Yvette Mayorga (MFA 2016) uses bright colors and soft, almost edible looking acrylics to mimic the look of icing in her sculptures that bear resemblance to the cakes she remembers from childhood. She uses “icing” along with glitter, tinsel, and foam blocks to create pieces that reach heights of six feet or more. Mayorga was recently profiled in Chicago Magazine in the article "The Frosting Chronicler." Though cakes are often the mark of an anniversary or celebration, Mayorga uses political imagery and phrases in her sculptures to tell a different kind of story. Mayorga’s booth at EXPO CHICAGO 2017 featuring her solo presentation High Maintenance (Art After Nov. 8, 2016) was her dystopian vision of the American dream told through an immersive and multimedia experience that recontextualized American gendered toys. 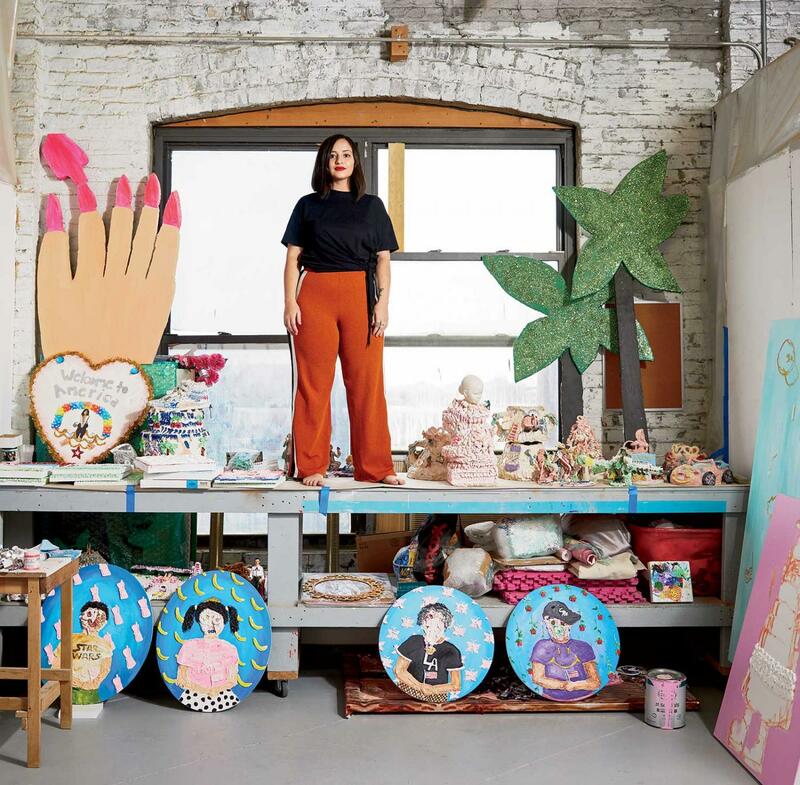 According to Chicago Magazine, Mayorga will continue to use her artwork to convey a politically charged message with her upcoming exhibit at the Roman Susan Art Foundation. The exhibition titled Home Land, Promised Land, Candy Land depicts Mexican immigrants’ version of the American dream and will be on display beginning October 20 through November 10. Read the full profile here.